DO WHAT YOU LOVE. SHARE IT WITH OTHERS. 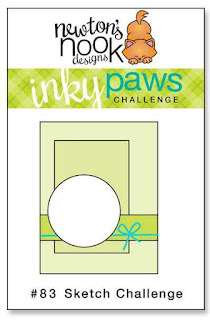 Welcome to a NEW Inky Paws Challenge. 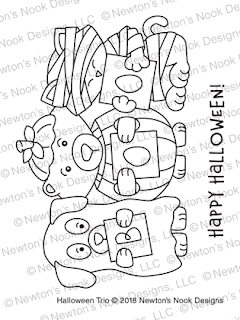 What a fun sketch we have for you. Since it is still October, I decided to keep the Halloween fun happening! 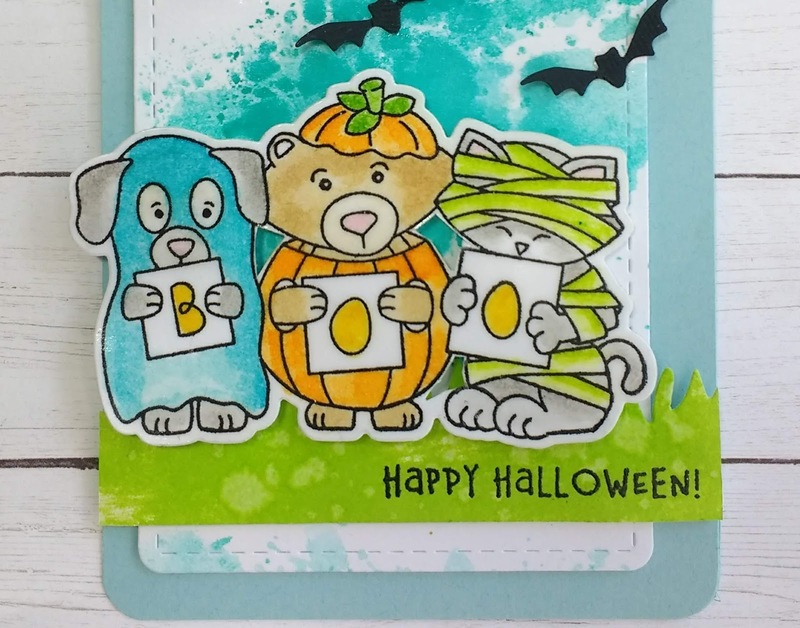 Using the Halloween Trio Stamp Set, and the sketch above I created this card. The background of this card is quite simple. Tumbled Glass Distress Ink is smashed into white cardstock and dried with a heat gun. 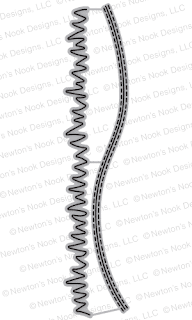 Next, I created the background grass using the Land Boarders Die Set. The grass is die cut out, covered with a generous amount of Mowed Lawn Distress Ink. 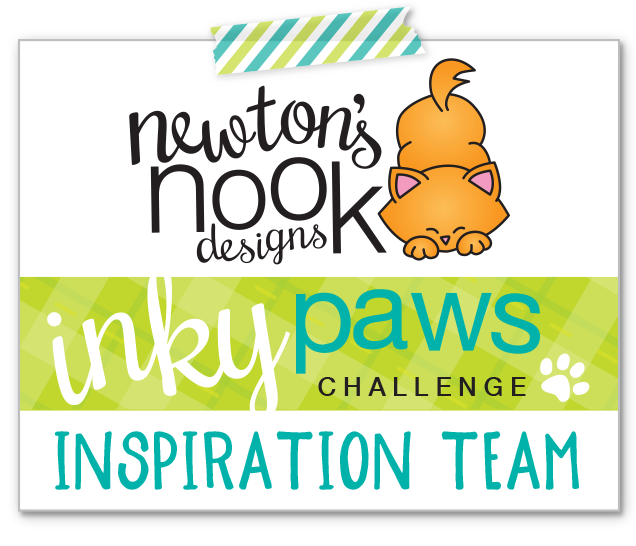 The ink is quickly dried with a heat gun, and then water is dropped on it to create texture. 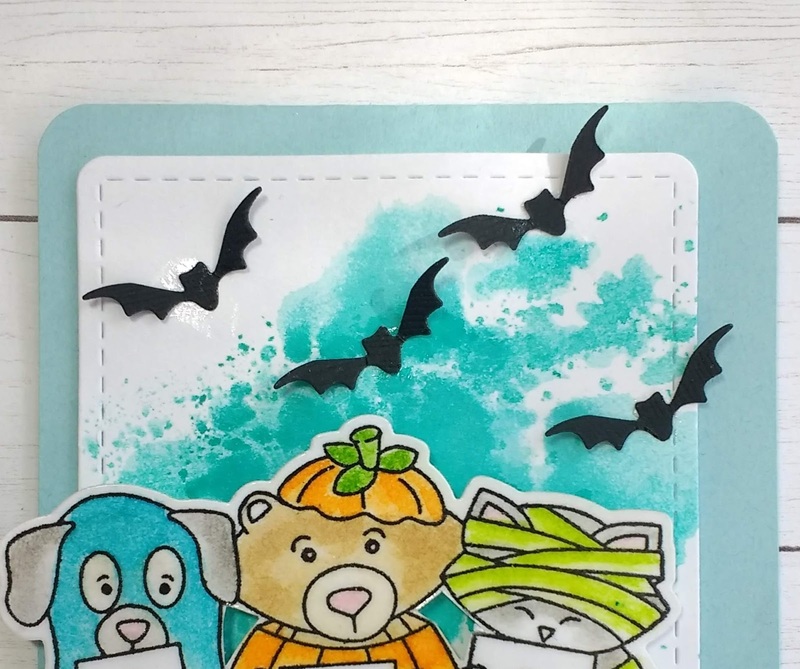 Next, The Halloween Trio Stamp Set is stamped out and colored in. I die cut out my images and attached them on top of the grass with some foam tape. I die cut out some bats out of black cardstock and attached to the top of the card. 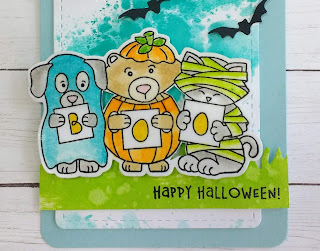 Finally, I stamped “Happy Halloween” on the card. share it with us using the challenge picture above. This is really adorable! I love the colors you have used on it too! So fun! 2sistersproject 2019. Simple theme. Powered by Blogger.